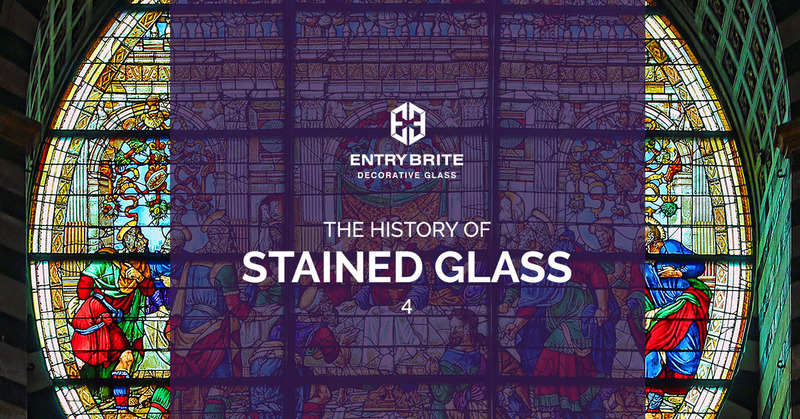 And here it is, the final installment of our four-part blog series on the history of stained glass. If you’ve stayed with us up until this point, you surely know how complex the artistry of stained glass can be, especially as it has changed over the last several thousand years. 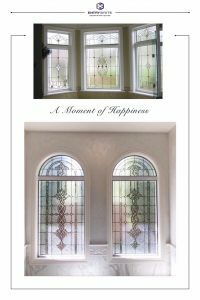 Today, Entry Brite in Phoenix continues to carry on this fine artistic tradition in every one of the stained glass front doors that we craft for you and your home. Stained glass has been used to decorate living spaces for thousands of years. It’s an ancient art form that has lasted the test of time and has retained a level of popularity that is still felt today. Interestingly, stained glass is actually older than the United States. Yes, the early colonists brought glass making with them as one of their first industries. Since then, stained glass has gone through waves of popularity that reflect the changes in culture and taste in the US. Some of the first industries established in the New World were glass making. Jamestown, settled in 1607, was sold to investors as a glass making paradise, as it had ready access to sand and near limitless trees surrounding it. Glass makers needed incredible amounts of firewood to get their kilns hot enough to fire glass, and by the end of the Renaissance, England had essentially run out of firewood. This early venture largely made plate glass and bottles to be sent back to England. But soon, more colonists and settlers arrived from other parts of Europe and settled up and down the East Coast. Dutch artists began making ornate family coats of arms from stained glass and selling them all over America and Europe. Their phenomenal stained glass graced many of the early churches on the continent. But even with the amazing quality of work being produced, stained glass had fallen out of fashion, and was largely seen as a specialty luxury item by most colonists and, then later, by early Americans. It wasn’t until the early 1800s that interest in stained glass began to renew. As the cities of the East Coast began expanding and replacing their original, small, wooden houses with more ornate homes and buildings made of stone and brick, the demand for glass windows became apparent. To meet this demand, William Gibson established the first stained glass business in America in New York in 1834. Gibson’s business wouldn’t last long, but many other craftsmen and artisans rose to take his place. Stained glass would find use in new churches and private homes and businesses. The Art Nouveau movement would inspire new ways to make goods by hand, rather than relying on the machines that were increasingly churning out more and new products as the nation moved toward the 20th Century. This movement highlighted sinuous lines that depicted motifs of nature. The Arts and Crafts and Art Deco movements of the late 19th and early 20th Centuries would utilize in ways that were reminiscent of the early Gothic style, but were used on new fixtures and on a scale that was thought impossible until then. Americans would incorporate stained glass into their front doors, into the windows of their sitting rooms, and even as the shades of their light fixtures. Of course, one of the defining features of Art Deco architecture is the use of huge quantities of stained glass to create immense and beautiful skylights and light fixtures. This proliferation of stained glass was thanks to the machinery and techniques that had been developed over the last 4,000 years. Stained glass was now easy to make en masse, and could readily be fit into any home, regardless of the status of the occupant. In the present day, stained glass can be found throughout the United States. This fabulous art form is used in any number of buildings, from commercial, to residential and everything in between. While stained glass fell out of favor during and immediately after WWII, it has experienced yet another renaissance in the last thirty years. Today, art programs across the US include stained glass artistry as part of their course offerings, and the craft movement has made it an object of fascination for new homeowners looking to add a handmade element to their home. Stained glass continues to fascinate people of all ages and walks of life. Add an element of intrigue and beauty to your home with one of Entry Brite’s timeless stained glass front doors. Contact our branch in Phoenix today to find out more about our entryway remodeling services.